Up until the time my son was about two, there wasn’t anything about him that made me think anything was wrong. I had a very normal low-key pregnancy and birth with him. Other than jaundice he never really got too sick. Just a cold here and there. At about two though I started to wonder if something was going on. We were in Germany and I noticed that he was just not talking like the other kids his age. He had said his first words when he should have but he never really progressed past that when he should have. I use to take him to a playgroup onthe post. While there a lady from EDIS (Early Development Intervention Services) use to come by to hand out these quizzes. You would get one for whatever age your child was and filled them out to see if there was any cause for concern. I did this for Daniel and it was obvious he was pretty behind on his communication skills. I made an appointment with EDIS since he was still under three. We did a bunch of testing and at almost three his speech was more like an 18-month-old. He was also behind in fine motor skills and social skills. Since he was just about to turn three he was eligible to start at the special needs preschool they had on the post. It took a few months but he started going four days a week for about 2.5 hours a day. At this time, he was also going to the two-day program and they encouraged me to keep him in that too. That was a lot of school for a three-year-old but he really enjoyed it. He was/is such a social kid that it was great for him. We moved about six months later and then it was summer break. The next fall he started at the same type of preschool at a different school. 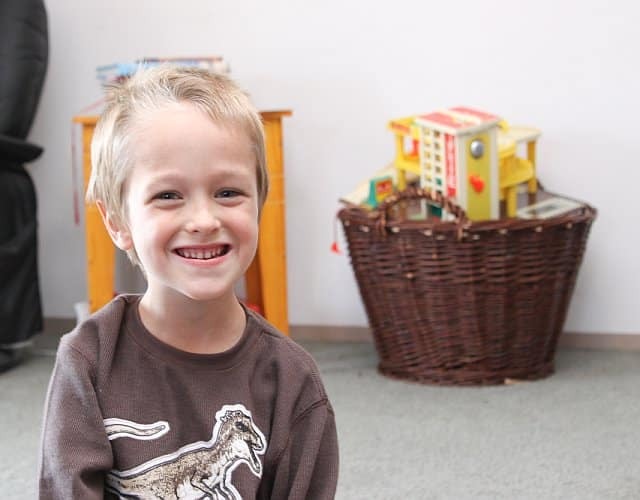 Right around when he turned four he was diagnosed with having a Developmental Delay for cognitive and communication. Basically, this means that he is behind in a few areas such as speech, fine motor skills, and behavior. Between the ages of three-five were the most difficult for me. Part of it could have been because Ben was deployed twice during that time but I really think the older Daniel gets, the better things are going to be. He is seven now and although he is still behind an average seven-year-old he has come so far. In May, he no longer needed to work with an OT. His fine motor skills are so much better now. He can write and even read a little bit. His speech is doing so much better. He still has trouble with some words and there are still some things he says that even I can’t understand but he has really grown in the last couple of years. I remember when we first moved back to the US. He was five and I broke down because I couldn’t even have a conversation with my son. I would ask him questions and he just couldn’t respond the way he should. Now, we have conversations all the time. He can speak in full sentences, tell me stories, tell me about his day, tell me what he learned at school and all that. This is so new to us and I really treasure it. They told me a few years ago that they think by the time he hits about the second grade he is going to be pretty caught up. I think this could be true as long as things continue to get better. Right now he is in a regular kindergarten class. Last year he was in a special needs Kindergarten. We made the decision to have him repeat Kindergarten in a regular class and now that we have a few months of the school year under our belt we are very happy we made this decision. He seems to be a little ahead academically but socially it is the right place for him. So very glad that he is improving and you can now have conversations with him. That is awesome! I know that must be such a joy for you to hear! My recent post Relax, the turkey didn't actually kill anyone….